Saturday, June 30 - Fishing Day from 8:30am - 3pm followed by the Weigh-in from 4pm - 8pm. The Awards Ceremony at Lumina Hall starts at 7pm (Open Bar, Food and Live Music). There are different levels of entry with corresponding entry fees, requirements, and prizes. Visit www.CapeFearBlueMarlinTournament.com for complete details. The Cape Fear Blue Marlin Tournament is a wonderful tradition for Wrightsville Beach. We are proud to host such a prestigious North Carolina fishing tournament and wish the best of luck to all participants! The WECT Sounds of Summer Series in Wrightsville Beach is a favorite Thursday night event for beach residents, neighbors, and visitors. 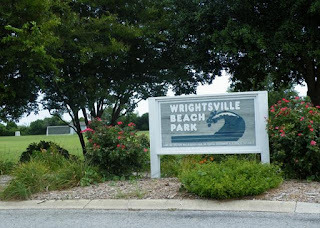 Bring picnic blankets and chairs to enjoy live music at Wrighstville Beach Park starting June 21, 2012. June 21: Soulbeam, a Wilmington-based dance and groove cover band that brings a fresh and vibrant new sound to classic and modern Motown, rock and soul hits. June 28: Dutch Treat — This female-fronted band specializes in dance rock and 1980s tunes. July 5: Selah Dubb, a surf-reggae-rock trio that has gained renown for its up-tempo, upbeat brand of modern reggae. July 12: 360 Degrees — Serving the greater Wilmington area for 18 years, the band provides a combination of diverse music genres and an interactive, high energy show at every performance. July 19: 40 East, a local six-member band specializing in multi-genre hits from country, rock, R&B and pop. July 26: Heart and Soul, a six-member band that performs hits from R&B, soul and dance music. August 2: Scearce and Ketner, an acoustic duo from Swansboro, N.C., that plays crowd favorites from a wide variety of artists, as well as original songs from their album, "Abducted." August 9: The Imitations — Beach, soul, and rock and roll are what this band is all about. Currently, The Imitations have four different sets: Elvis, The Temptations, the Blues Brothers and the Beach Boys.